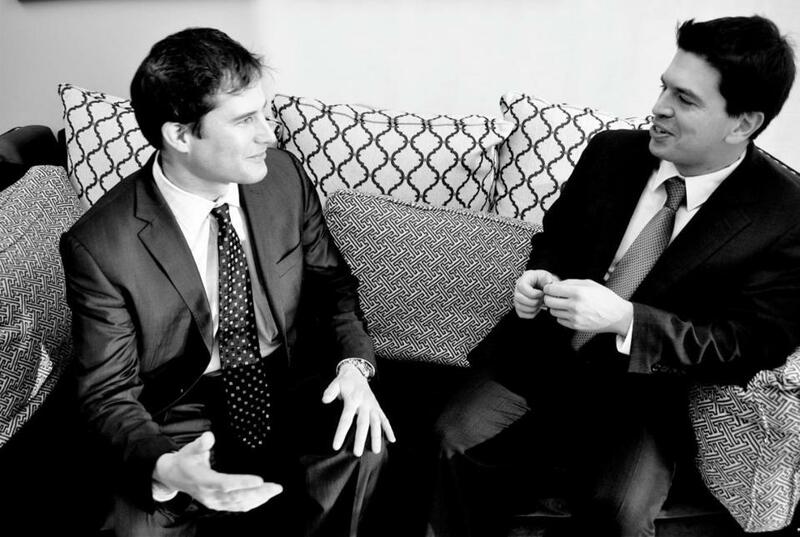 Seth Moulton (left) founded Eastern Healthcare Partners with Dr. Sam Bakri, a fellow Harvard Business School student. 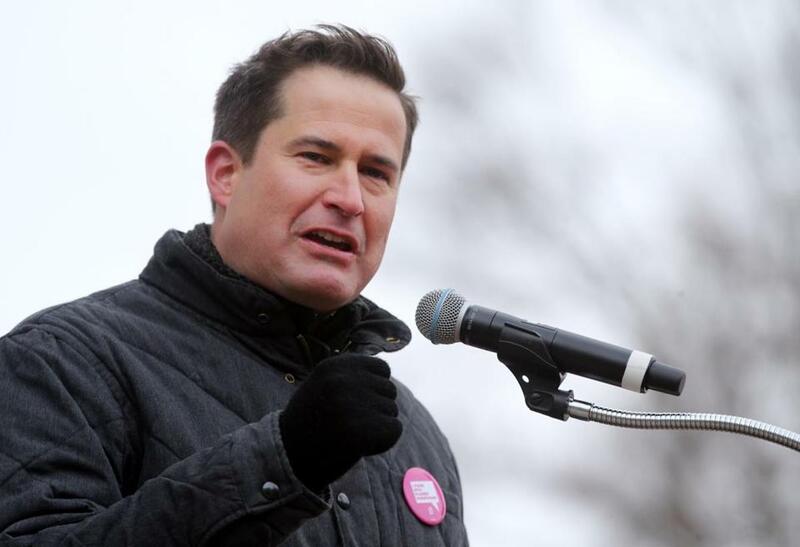 Representative Seth Moulton’s sparkling resume and taste for political gambles have rocketed the 40-year-old to three terms in Congress and a spot on the national stage. The Massachusetts Democrat, who is considering a run for president, served four tours in Iraq, earned three Harvard degrees, and in his first run for public office, knocked off a Democratic incumbent on his way to winning a seat in 2014. Moulton has spoken with pride about cofounding a company aimed at providing a solution to obesity. But a closer look at his 2013 foray into the weight-loss industry, mention of which his campaign later removed from his website, reveals a less illustrious chapter of a career marked by service and ambition. Eastern Healthcare Partners Inc. never came close to its early goal of opening weight-loss and same-day obesity surgery centers in the Middle East, where Moulton and his colleagues believed there was a growing market. In fact, after Moulton left, the firm stiffed Johns Hopkins University in the middle of a clinical trial, the school says, and still owes what could amount to hundreds of thousands of dollars in Delaware taxes, according to records and interviews. Moulton served as the company’s president and in other leadership positions until November of 2013. He says the now-defunct firm was “successful as an early-stage startup” while he was there. “When I left the company, things were in good shape to the best of my knowledge,” he said in a telephone interview. After his departure, he emphasized, he had no role in the firm’s direction, though he retained a small ownership stake in the company. Congressman Seth Moulton in March 2017. Startups that fail and leave debts behind are common. But Eastern Healthcare Partners, which Moulton said never generated a penny of revenue during his tenure, was something he had spoken about as a strength. Moulton hatched the idea for Eastern Healthcare Partners in 2011 with a fellow Harvard Business School student, Dr. Sam Bakri. It went through several iterations before they settled on the broad goal of tackling obesity and its complications. A small team came together in 2013 and pitched a grand plan to might-be investors. The company hoped to consolidate “the obesity treatment space under one roof” and tap into a “huge market” of people who suffer from the condition, according to a 2013 investor presentation obtained by the Globe. The model, the pitch indicated, included a focus on cash-paying patients and a regional emphasis on the United States and Middle East, including affluent nations such as the United Arab Emirates, Qatar, and Kuwait. The company thought it could bring in revenue from the burgeoning market of people looking for a weight-loss program, surgical intervention, or both. Tom Hoster, identified as chief financial officer in the 2013 investor presentation, said Eastern Healthcare Partners aimed to provide weight-reduction surgery in the Middle East. “And this would come with the appropriate complement of counseling and other aspects that are important to having a patient achieve weight loss,” Hoster said. The key, said Hoster, who last advised the firm in 2013, was to cultivate an affiliation with one of the world’s most prestigious medical centers. Eastern Healthcare Partners peppered its pitch to potential investors with references to Johns Hopkins University in Baltimore. It wasn’t until June 2015, a year and a half after Moulton left its leadership, that school officials said the company agreed to pay Johns Hopkins to conduct a clinical trial on a diabetes lifestyle prevention program. Everything didn’t go as planned. The university terminated the agreement in June 2016 “when EHP failed to pay amounts due to Johns Hopkins under the agreement,” said Hopkins spokeswoman Kim Hoppe. The company also failed to pay its taxes and file key paperwork in Delaware, where it had incorporated in 2013. It owed up to $340,000 as of this month, according to the state records. The actual amount could be much less, however. Delaware’s corporate tax laws allow for alternative ways to calculate a company’s tax obligation that would likely reduce the firm’s state tax liability. People involved with the company after 2014, when financial problems approached, didn’t respond to requests for comment. Back in 2013, according to the pitch, one part of Eastern Healthcare Partners’ plan was a focus on quick endoscopic bariatric procedures. The pitch framed some outpatient procedures as more effective than diet and exercise and lower risk than major bariatric surgery, such as stomach stapling. Yet the bariatric services mentioned in the presentation — a liner placed in the small intestine, an endoscopic suturing system, and gastric Botox therapy — didn’t have much data backing them up at the time, said Dr. Dana Dale Portenier, a bariatric surgeon and chief of the division of metabolic and weight loss surgery at the Duke University Health System. “It would be exceedingly ambitious back in 2013 to say you were going to do these,” said Portenier, who reviewed the investor presentation at the Globe’s request. Moulton said his memory is that those procedures were examples of innovations in the field of obesity medicine. Moulton’s high tolerance for risk has been the through line of his career, from volunteering for the military to challenging an incumbent congressman, to trying last year to prevent Nancy Pelosi from becoming speaker of the House, to visits to the presidential proving grounds of Iowa and New Hampshire. At Harvard Business School, he found he had a taste for the inherent risks involved with entrepreneurship. After an internship at Goldman Sachs in the summer of 2010, Moulton says he turned down a full-time job there. Instead, he pursued the health care venture with Bakri. They originally looked at starting a business focused on low-cost proton beam therapy for cancer, but it wasn’t coming together in the months after Moulton graduated. In the meantime, Moulton took a job at a firm trying to build a high-speed railroad between Dallas and Houston, and he toyed with the idea of running for Congress in Massachusetts as an independent. At the end of 2012, Moulton moved back to Massachusetts permanently to start the obesity business with Bakri. But he was also fleshing out the idea of a 2014 run for Congress as a Democrat in the state’s North Shore-anchored district. He formally became a candidate in July 2013, left management of Eastern Healthcare Partners in November, and won a long-shot Democratic primary bid against Representative John Tierney the next September. In the general election against a moderate Republican, Richard Tisei, Moulton emphasized his business-starting bona fides. “I’ve started a small business. I know how hard it is to face that day when you might not meet payroll,” he said in a 2014 WBZ-TV debate, referring to Eastern Healthcare Partners. Today Moulton says he’s still proud of his time at the company and, more broadly, of the risk he took in founding it.